In the age of Facebook, keeping up with old friends has become a daily habit for millions. Does that mean the yearbook — a high-school rite of passage — is becoming a thing of the past? Digital Yearbook Page founders Robert Nunn, 27, and Samuel Zaribian, 24, are young enough that they grew up in an era when the Internet has always been accessible. But the pair of Los Angeles-based entrepreneurs said their new app has no less an ambition than to save the yearbook in its classic form. The idea of a digital yearbook isn’t new. In fact, Classmates.com was one of the very first social media sites (before that term even entered the lexicon) when it launched in 1995. But as the concept of free information on demand has taken hold, sites that charged a fee or that did not aggregate information have lost their once significant influence. 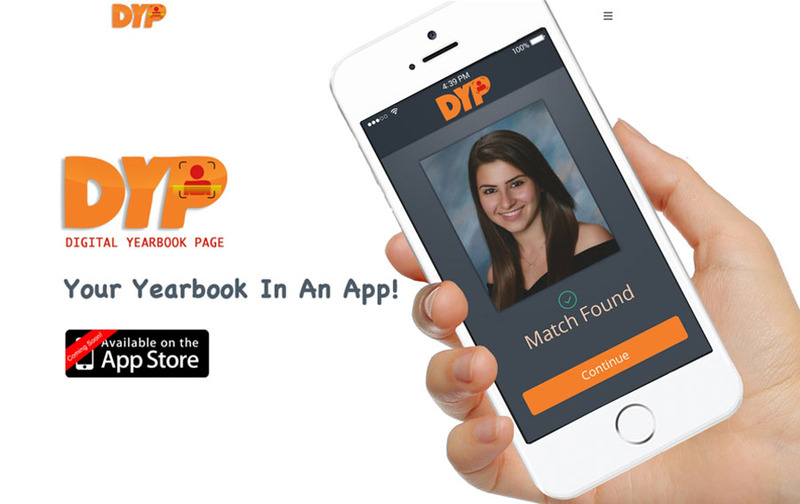 The DYP app (free in the iTunes Store) is deceptively simple. You use your phone to scan a yearbook photo. The app then analyzes the photo and presents relevant information for that person aggregated from various social media sites: age, graduating class, current location, and so on. It’s not far off from the concept of adding a QR code to a physical yearbook, but without the hassle of adding all that ink and the ugly QR symbols. DYP also allows for customization. For example, if you want to share information or photos with your former classmates but not necessarily all of social media, you can enter privacy-restricted tidbits into your DYP profile that only select contacts can see. Nunn and Zaribian say they hope the app can also be an alternative for people who either were not able to afford a yearbook when they were in school or who may have lost their copy over the years. When you search for a former classmate, you are presented with a “then and now” pair of portraits, allowing you to have a virtual copy of that old school photo you may not have seen in years. Nunn says the app’s search features go far enough back to include yearbooks from the 1950s. Nunn said they came up with the idea for the app while sitting in a Starbucks and wondering what some of their former classmates were up to. As the younger generation slowly moves away from Facebook, Nunn said, he realized he couldn’t just automatically track down a former classmate on social media. For now, they are relying on a blend of traditional and new media strategies to introduce the world to the concept of the DYP. On the ground, they’ve been working with the Los Angeles public school system to train yearbook production staffs on incorporating DYP into their yearbook rollout for the class of 2014. “Our hope is to make this a tradition just like the yearbook is,” Nunn said. It’s loosely based on the dating app Tinder. Basically, you’ll see the photo of a former classmate. If you “remember” the other person’s photo, and she remembers yours, you’ll receive a digital icebreaker. “It’s a good way to start a conversation with someone you might not send a blanket message to without a prior point of conversation,” Nunn said.